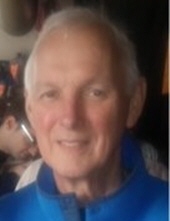 Steve Murray Doyle died April 8, 2019, too early, at the age of 71, after more than 3 years of coping with prostate cancer. He was born to John and Patricia Doyle in Chicago on Jan. 16, 1948 the third of eight children. He grew up in Chicago as an adventurous, inquisitive, dare-devil kind of child with minimal adult supervision, which led to many hard-to-believe stories. Stories hard-to-believe but actually true. He joined the Marines at age 17 and was honorably discharged 3 years later. He was fond of saying “you can always tell a Marine, but not much”. He loved math, science and everything about airplanes. He acquired deep knowledge about an incredible array of topics through the years, was like a walking encyclopedia whether it be about history, physics, art, opera, and on and on and on. He loved all kinds of music but his favorites were the Beatles and the Eagles. Steve prided himself in being able to fix most anything. He was skilled in electronics, plumbing, carpentry, technology, photography, you name it. If it was something unusual that maybe needed a rare piece or part, he was determined to find it and almost always did. He gave of his time and talents to so many family and friends. But his greatest passion was cooking. He found such pleasure in the whole process - shopping for just the right ingredients (was known to drive to Ann Arbor for the exact cut of meat he wanted), preparing sometimes for hours, and then serving with beautiful presentation. He was always so pleased to cook for those he cared about. It was his therapy. Steve was an introvert who struggled at times with feelings of not belonging. Even tho’ loved by many, he found it difficult sometimes to blend in comfortably. Those of us close to him understood this and gave him space to be himself. It actually worked well most of the time. Steve and Carol married in 1998 so were able to celebrate their 20th anniversary in September of 2018. They met in Oak Park, IL after both living there for many years. An odd couple of sorts, love and humor prevailed, even in the difficult times. They moved from Oak Park to Bowling Green in 2013 - one of those difficult times. It took some time to adjust but evolved into better and better. Steve is the father of Sean (Justine) Hurley, Brian (Kathleen) Doyle and Stephanie Doyle; grandfather of Liam Doyle and Jahnavi Hurley. Family blending brought him daughters Meredith (Andy Weiner) Kinsey, Blythe (Jim Arndoldt) Kinsey and Jennifer Kinsey along with grandchildren Clay and CeBe Weiner and Caden and Cale Clinger. Carol’s first husband, Terry Kinsey and his husband Jay Cohen are also important loves in the family story. Carol’s sister Margaret Montague has been an ever-present, ever-caring support for both Carol and Steve always but especially during his ending time. Steve leaves behind those mentioned above and his dear wife Carol. Also, his sisters Ann Dillon and Gilmary Andrews, and brothers Christopher, Mark and Basil. Brothers David and Michael died previously. Steve wished to be cremated and have part of his ashes placed on the farmland in Caledonia, Ontario, and the remainder taken to Ireland. This will be lovingly done soon. Steve benefitted from blood transfusions in the last months - he requested that anyone able and willing, please donate blood in his memory. He was grateful that others had done this, making it available to him. If not blood, give of yourselves to what feels most important. Also deep appreciation to Hospice of Northwest Ohio for their care and support of both Steve and Carol. In lieu of flowers, please consider donating to hospice. Visitation will be held Thursday April 18, 2019 from 6:00 to 8:00 p.m. at Dunn Funeral Home, located in the Historical District of Bowling Green at 408 West Wooster St. His Memorial Service will be held Friday April 19, 2019 at 1:30 p.m. at the funeral home. To send flowers or a remembrance gift to the family of Stephen M. Doyle, please visit our Tribute Store. "Email Address" would like to share the life celebration of Stephen M. Doyle. Click on the "link" to go to share a favorite memory or leave a condolence message for the family.